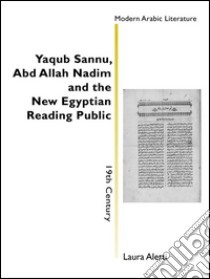 This essay will try to shed light on the development of new speech genres in the 19th century Egyptian context as a result of the birth of a new reading public. Thus, it will address S?annu¯ ? and Nadi¯m's contribution to the development of journalism and theatre in Egypt.